Project Management is one of the critical success factors in realising the full business value from implementing business strategies and major projects. The greatest challenges facing projects are management rather than technical issues. The project manager is a change agent. Good project managers should sit between the business people and the technical people. 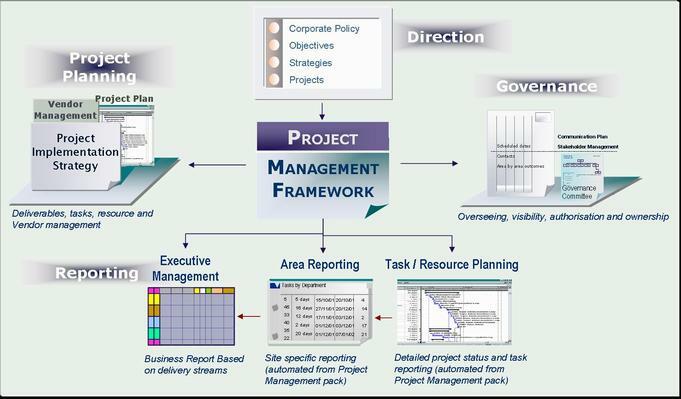 The Project Management Framework is critical in completing projects on time, to specification, and within budget. This framework facilitates improved planning, reduces the project’s implementation time, mitigates potential risks, addresses the organisational change issues, improves stakeholder communication, and controls the project costs. The success factors discussed above all demonstrate different aspects that lead to successful projects. There exist many tools and apps that can help and should be considered. For example, the Agile project management provides an iterative and incremental method of managing the design and build activities of engineering, information technology and other business areas that aim to provide new product or service development in a highly flexible and interactive manner.